A Japanese court has ordered search giant Google to suspend its auto-complete function because it breaches one man's privacy, his lawyer said. Tokyo District Court approved a petition by the man, who claimed typing his name into the search engine generated a suggestion linking him to crimes he did not commit, lawyer Hiroyuki Tomita told media Sunday. Google said Monday it was reviewing a Japanese court order to modify its auto-complete feature to safeguard the reputation of a man who complained it falsely links him to crimes. The world's leading Internet search engine released the statement after the man's lawyer, Hiroyuki Tomita, told media in Japan that Google was ordered to discontinue the feature in Japan because it breaches the man's privacy. "A Japanese court issued a provisional order requesting Google to delete specific terms from Auto-complete," a spokesman for the California-based company confirmed on Monday. "The judge did not require Google to completely suspend the Auto-complete function," he continued. "Google is currently reviewing the order." 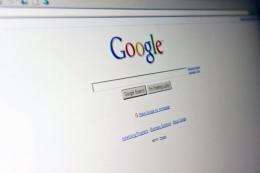 Tomita said that spelling his client's name in a Google query box in Japan resulted in suggested searches that lead to results implying the man is guilty of crimes. The lawyer contended that since these postings began appearing on the Internet over the last few years, his client has had difficulty finding work, with his online reputation always in question. Auto-complete is a function provided by many search engines that suggests what a user may be seeking as they type queries. Query suggestions are typically based on what other people have searched for when they typed the same initial letters of words. "These searches are produced by a number of factors including the popularity of search terms," the Google spokesman explained. "Google does not determine these terms manually -- all of the queries shown in Auto-complete have been typed previously by other Google users." The details of this case are not known, but it is possible that the plaintiff shares a name with someone who is legitimately associated with a crime. Tomita said the auto-complete function was problematic because it guides users to sites that may contain false or misleading information. Google has responded to the man's complaints by saying that since the results are compiled automatically there is no intrusion of privacy, Tomita said. Google declined to discuss specifics of the case, saying it is company policy not to talk about details of ongoing litigation. The man may seek financial damages in a bid to press Google to erase the suggested search, said Tomita, who was trained in California and has taken on many Internet-related cases, including online reputation issues. > A Japanese court has ordered search giant Google to suspend its auto-complete function because it breaches one man's privacy, his lawyer said. The wording on this makes it sound like they want Google to stop the autocomplete globally and totally, while in fact it is more likely that Google should just stop returning autocomplete suggestions for the particular phrase, like it has done for several other phrases already. Seems almost laughable that it should have gone this far. Must be an uncommon name, surely a John Smith couldn't complain of the same! The true is, the auto-complete function of Google doesn't work well in MS based browsers, it makes the editing of web queries difficult and I've disabled it completely. Another fact is, the auto-complete function is abused for Google bombing and another forms of mobbing of both private, both commercial subjects.